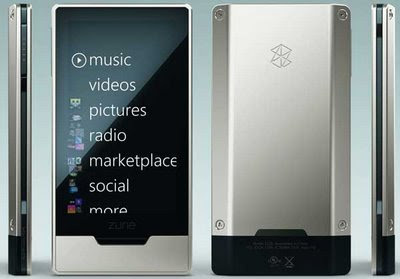 This is interesting... the rumoured Zune HD has been confirmed. Supposed to come out this Fall. I've read that it will have an IE-based web browser, obviously Wi-fi connectivity. The video out sounds like it uses a "sold seperately" HDMI dock, so I suspect (dread) that it's for HDTV only. I really need a composite video out. 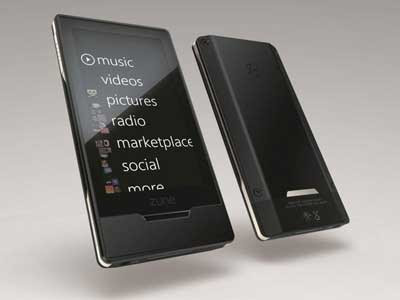 The Zune has always interested me because it plays a bit more video codecs than iPods, WMV and .MP4. I'm not sure if it will play PSP-formatted .MP4. OLED screen sounds very appealing, they are supposed to be brighter & very vibrant. 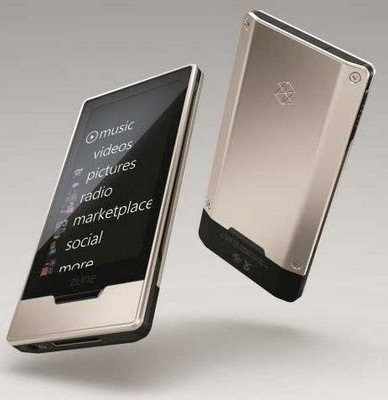 I've also read that the Zune HD will have an accelerometer ala iPod Touch. It sounds very much like an iPod Touch clone, but it does have a radio, which is nice. As far as I can tell, there's only 1 tactile button... I sure hope it has tactile, dedicated VOLUME controls. I'm always looking for a media player that will match the features/versatility of my PSP, in a smaller more compact form. It does look pretty. Not a lot of info about it right now. Hopefully we'll find out more about it next week at E3.